A strong woman ready to fight against a controversial fate. 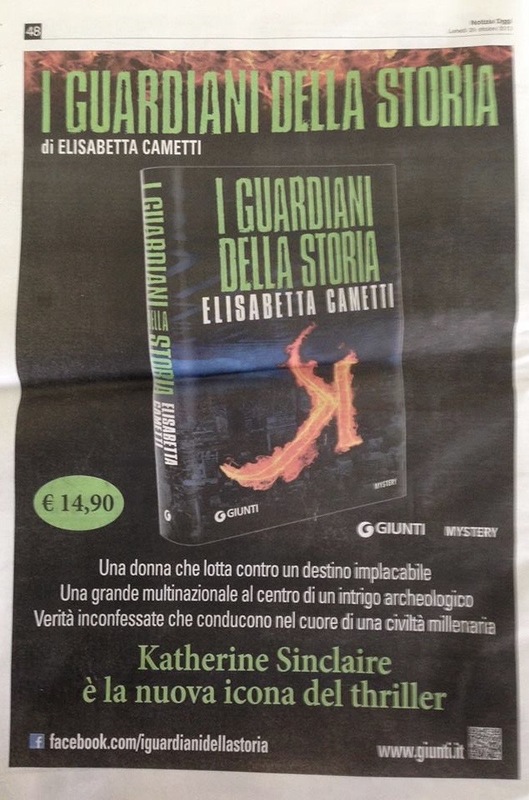 Katherine Sinclaire is the new icon of thriller. K – The Guardians of History is now available in stores. Advertisement on the biweekly newspaper Notizia Oggi Borgosesia (Idea Editrice srl, 28/10/2013).